Lokai bracelets are not only beautiful but they support many meaningful causes throughout the world by donating 10% of their proceeds to charitable partners. This limited edition purple bracelet supports funding for Alzheimer’s Disease Research, a condition that has touched nearly every family. 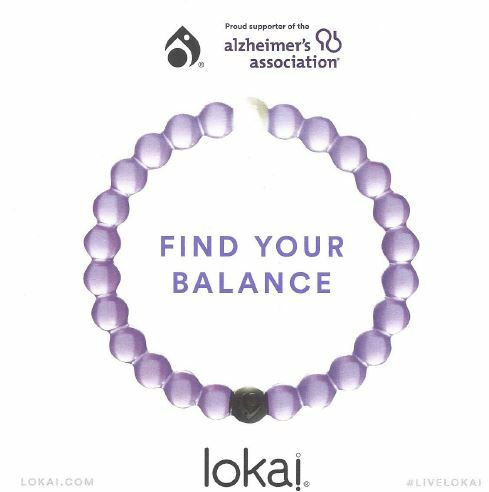 I am looking for a small purple lokai bracelet for my daughter who just turned 13. Her grandmother has Alzheimer’s so she really wanted to get one to support the cause. I am hoping you have some in stock and are able to ship to me. Thanks. Cindy, we only have XL left in the purple lokai bracelets. If you would like one shipped to you, please call the store and we will take care of that for you. Thank You!